Why do people stay in abusive relationships? - B.R.A.V.E. 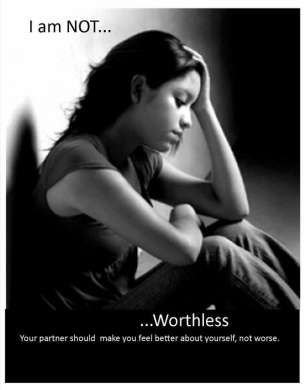 Abusive Relationships start like any other relationship – two people fall in love. Abusers are often wonderful and charming- until they are not. Love is real and it is hard to stop caring for someone. Abusers are not monsters all of the time. Partners have hope that the abuse will stop. If they can just figure out how to make the abusers happy, it will all go away. Abusers blame their partners for their behavior and their partners have hope that they can make it better. Abusers also make promises that it will stop and their partners hope that this time will be different. Many people are ashamed that they ‘let’ someone abuse them. No one chooses to be abused. Abuse is never the survivors fault. There is nothing to be ashamed of, but they feel the shame from others who do not understand. They feel they should have known better, they should have left long ago, they should have reached out. The shame should be placed on the abuser, not the abused. Many survivors have no one to turn to. They have been isolated from family and friends. Abusers pull their partners away from support systems in order to have complete control and to cut off any chances of escape. Without help, it is difficult to leave. Fear is very real. Leaving is the most dangerous time because the abuser is losing all power and control and will go to extreme measures to keep their partner. It takes extensive safety planning to leave. We should not judge those who stay. They know their situation best. Never give up or offer ultimatums if they do not leave. Offer support and love and be patient.